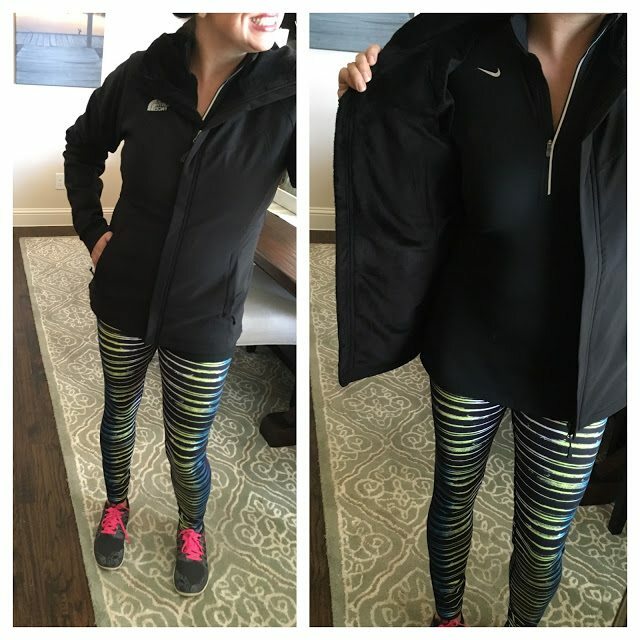 So if you’ve been reading the blog for a bit, or even if you just saw my post last Friday, then you know that my husband has kind of a thing thing for men’s North Face jackets and pullovers. He has 5 jackets and 2 pullovers. He seriously couldn’t live without them. He throws one on when he runs to take Carter to school. He wears them to football games. He takes 2 to the ranch every single time he goes. he just looks cute in them! I also love them because you can wash them at home. In the regular ol’ washing machine. And they come out looking like new. Even if they went in covered with mud and with the smell of a campfire. 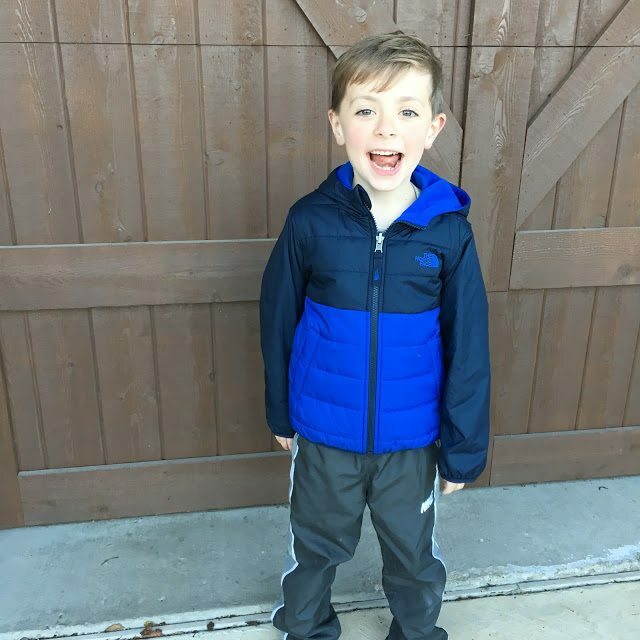 A couple of weeks ago Nordstrom reached out and asked me to talk about North Face gear for the whole family. Because it’s not just guy’s items they are known for….they actually have everyone covered with the best outdoor gear for extreme conditions (realllly wet and wintry)….or just a regular day where you want to stay dry and warm. Personally, I was really excited about this collaboration, because I’m obviously a believer in the brand and was looking forward to finally purchasing something for myself for the project! 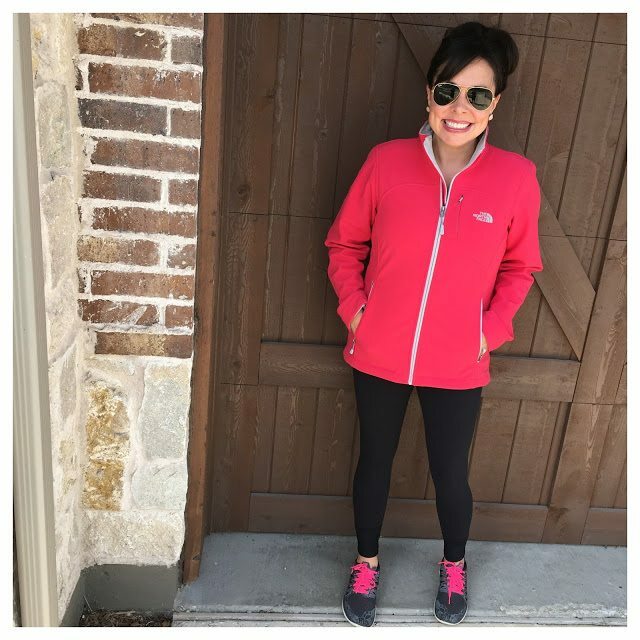 And with the holidays right around the corner, I thought you might want to learn a little bit more about the brand, because North Face items make great gifts. Click HERE to learn more about the technology behind their clothing. It’s pretty amazing. I hopped online and immediately started looking around for me. I liked all 3 of them. But THIS was the one I kept. What can I say? The pink spoke to me, and I love how the collar stands up. Click HERE for the Apex Bionic jacket! It also comes in a light grey and a light blue. And it has FANTASTIC reviews. For size reference, I’m wearing a medium. This was me running up to school last week to volunteer at Carter’s school. But it appeared that I had. You can see the contrasting lining here and get a good idea for the fit. Again, I’m wearing a medium in the jacket. I’m wearing a small in the top and the leggings. 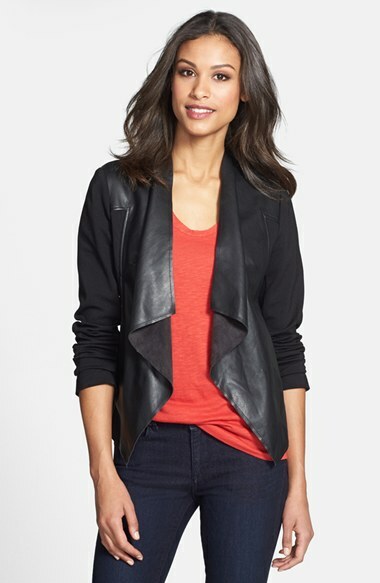 Here’s another one of the jackets I ordered to the house. I didn’t keep this one, but it was a great jacket as well. Click HERE for the Calentito 2 soft shell jacket. And for the last jacket I ordered to the house, click HERE for the Maddie Raschel Soft Shell Jacket. This one has a fleece lining and a hood and is super warm! Like I mentioned before, I would say you should probably consider sizing up 1 size in most of the Northface gear. Still, I’ve listed my size for each one because they do vary a bit. 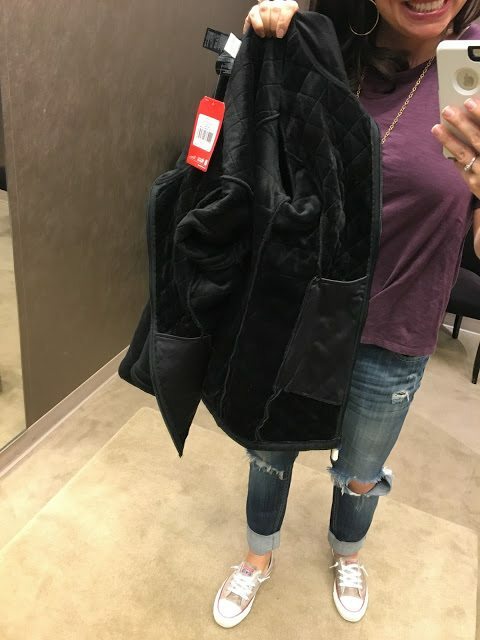 And since your needs for a jacket might be different than mine, I tried on a ton for y’all to see! For size reference, I’m wearing a medium. It had quite a bit of room, but the small was too fitted for me to put any layers underneath. If you need a REAL rain coat, take a minute to go read all of the reviews. 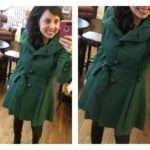 People swear by this coat. 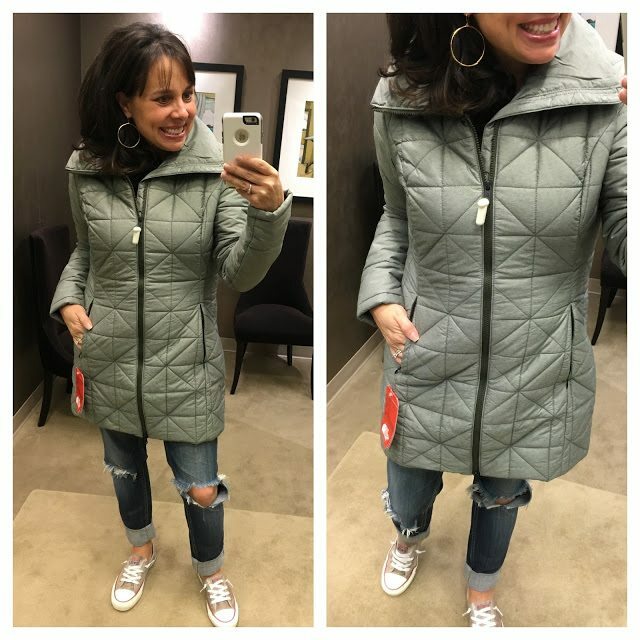 Click HERE for the coat, and scroll down for the reviews. It also comes in white and navy. For size reference, I’m wearing a small in this pic, but I definitely needed a medium. Here in Texas I don’t really have a need for coat this heavy duty, but I know that many of you do! 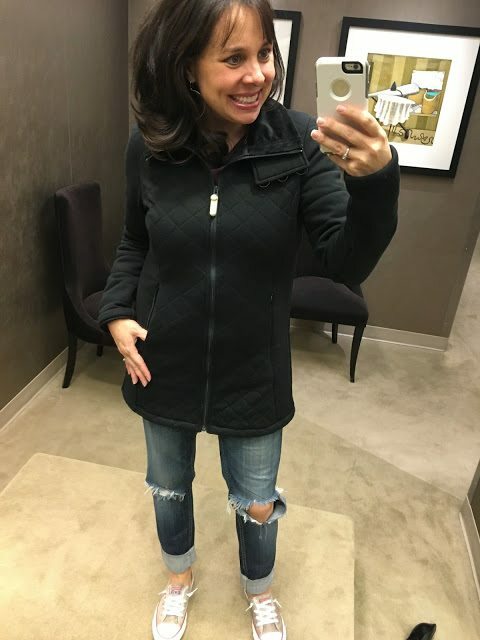 This jacket is super soft and comfy (see below for the lining), and I love the neck with the three buttons! See how it looks buttoned up online. Click HERE. Here is the inside of the above jacket. The zipper is a bit asymmetrical, which I thought was fun. I also really loved the shape of the collar and the contrasting fabric lining. For size reference, I’m wearing a medium. 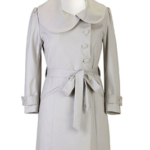 If you are looking for a SERIOUS COAT, this one might fit the bill. It also comes in a black, a berry, navy, and white. I’ve shown this next one to you before. AND NOW IT’S ON SALE! 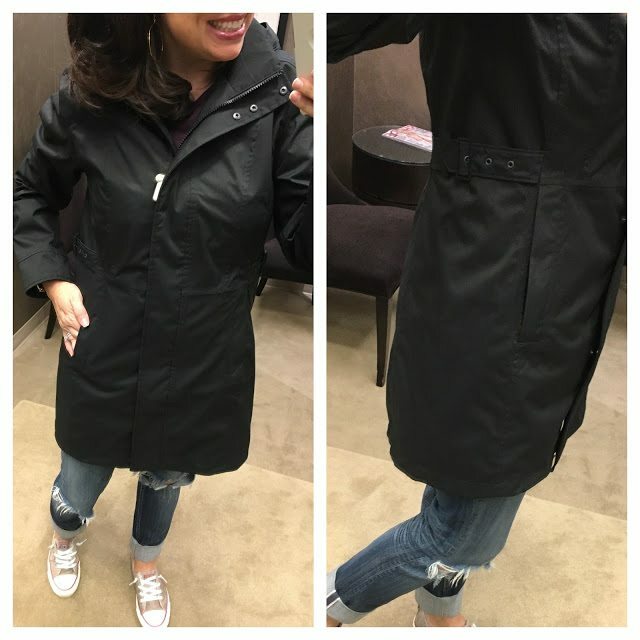 Click HERE for this lightweight packable rain jacket! For size reference, I’m wearing a small, so I don’t think you need to size up in this one. 241 5 Star Reviews. 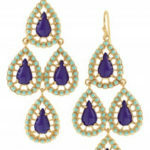 It also comes in a pretty blue. HOW AWESOME ARE THESE NORTH FACE GLOVES! 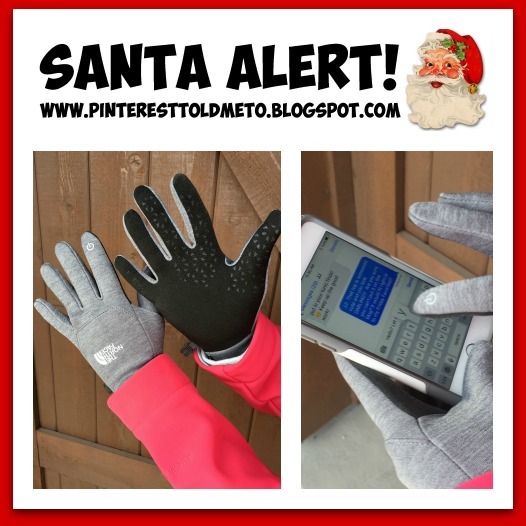 The finger tips are made of a special fabric that stills allows you to text and/or access an electronic device while your gloves are on. 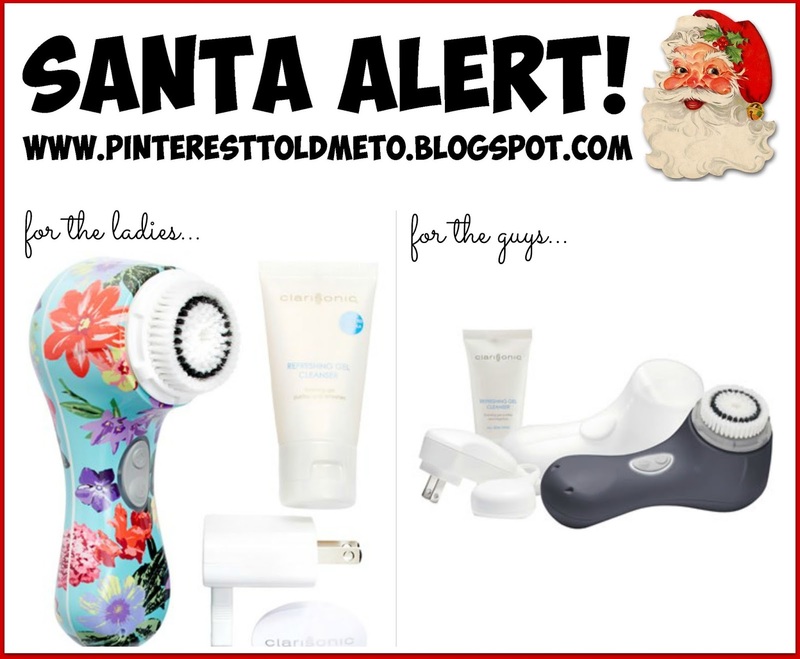 I got these for myself (and there might be a pair for my man under the tree)! Click HERE for e-tip gloves for women. Click HERE for all e-tip gloves (including men and kids)! And during the Anniversary Sale, I got a North Face jacket for the little guy! He loves it because it keeps him very warm, but it’s not stiff at all. Click HERE for boy’s North Face jackets. Click HERE for girl’s. Click HERE for babies. 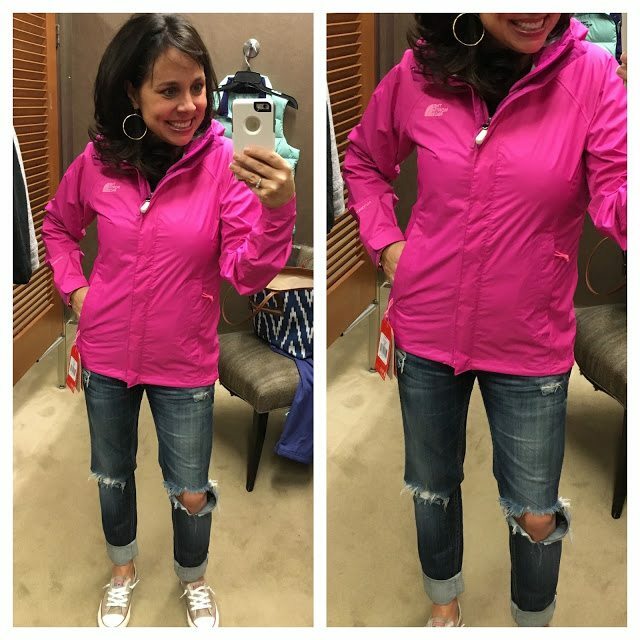 Thank you to Nordstrom for sponsoring the North Face portion of this post! Here are some of my favorites for kids. Snce I showed you this Nike pullover above with my work out gear, I thought I would also show you how I wear it with jeans. It was a bit cooler this week,so I threw this on to take Carter to school on Wednesday. I didn’t wash my hair or put on make-up all day, and I enjoyed the break! 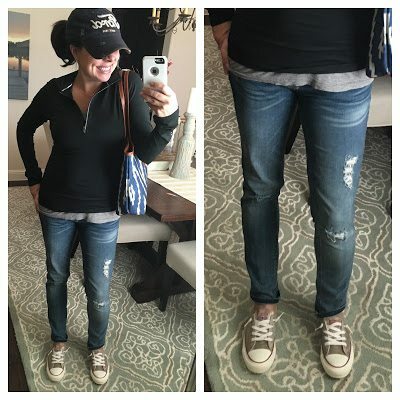 similar jeans by same maker / THIS half zip pullover (comes in other colors HERE and some are on sale) / THESE shoreline converse in “papyrus” (other converse colors HERE). And here’s the Santa Alert for the day! If you don’t yet have a Clairisonic, go read all of the reviews and I promise you’ll want one. I put this jacket on facebook over the weekend asking if anybody had it (since it was haunting me). Lots of people responded that they have it and love it…so I ordered the black for myself. Click HERE for the jacket. Click HERE for the facebook post where lots of readers who own it already commented on it. 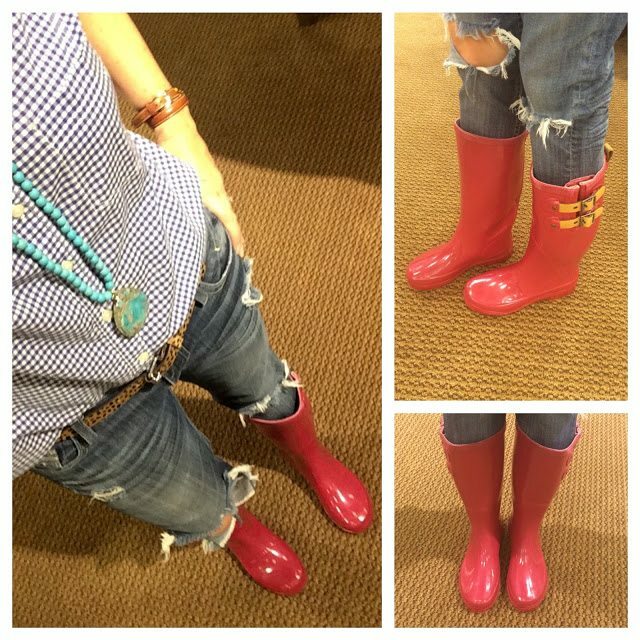 At $46.87 they are a great (much more affordable) alternative to Hunter boots! And both the dress and the leggings were on sale this weekend! Fingers crossed they still are! 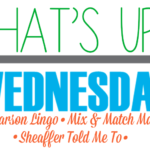 See y’all on Wednesday for What’s Up Wednesday and my recommendations for KID’S TOYS!!! Did you also order a M? I just texted her, and Shay's is a medium too. Hope this helps! 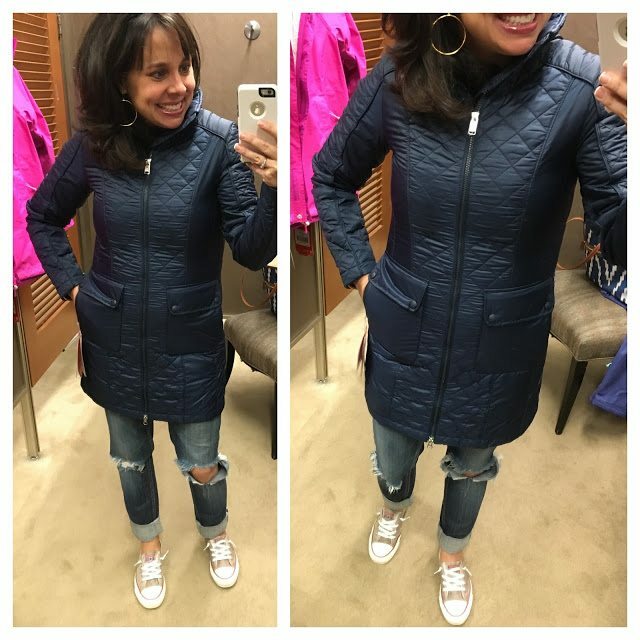 Further clarification….the SMALL actually fit Shay, but because they were going to China where it was CRAZY cold, she sized up for extra layers. Many of the smalls would zip up on me, but they were WAY TOO TIGHT to wear. You're the sweetest to check on that for me! I usually take an XS or S, so this helps a lot!! Ooh!!! Love me some North Face. I ordered a new North Face jacket during the Anniversary Sale and for to pull it out this weekend. It was incredibly comfy and warm! 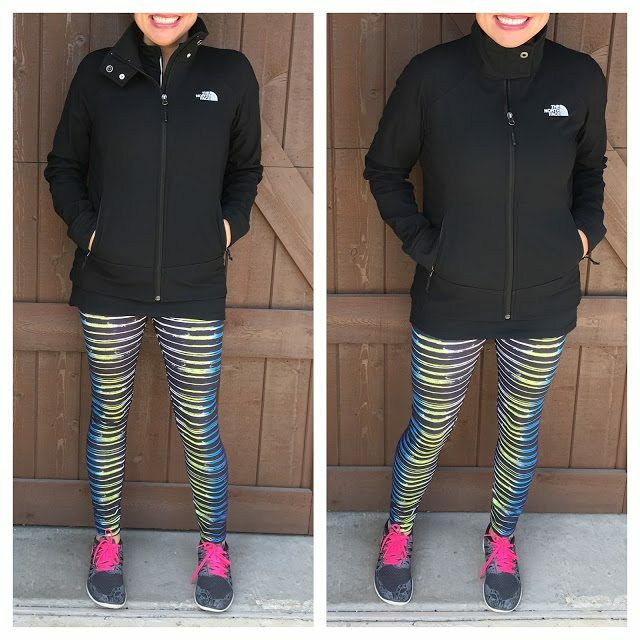 I love North Face jackets! My daughter has the Apex Bionic in white, which I hesitated getting her the white, but it has held up and it looks awesome and she has had it almost 2 years. She got mud all over it in the snow last year and it came out in one wash. It looks awesome still. Love Northface. 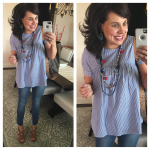 My husband and son wear them too and I steal theirs sometimes. I think it's time to shop for my own!!! 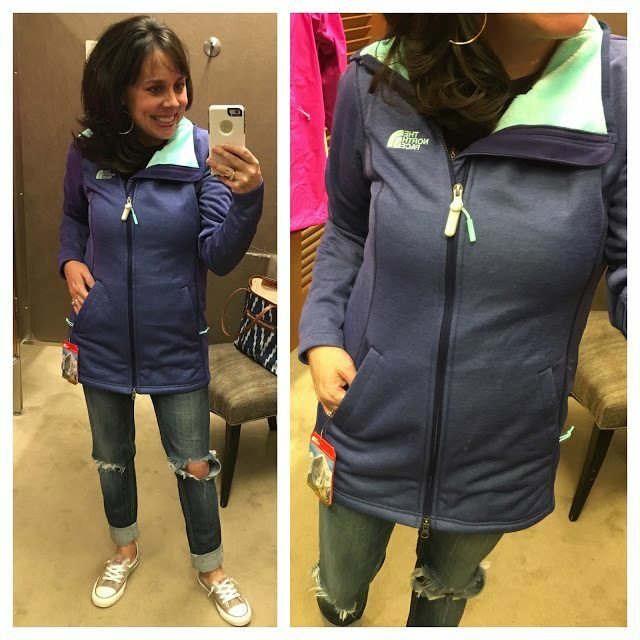 I've never gotten a North Face jacket but I'm pretty cold natured so I know I would love one! I love the soft shell black one you're wearing! I've always wanted a North Face jacket and last week Nordstrom was price matching so I bought myself the vest. I also sized up for a medium to add a sweater underneath. I love it! In the men's 1/2 zip pull over would you size up? Can we talk about that Ford hat and where I can buy it?! Perfect, thanks 😉 Oh, also, I own an Apex Bionic jacket and LOVE it….and also love my old school Denali Hoodie. Both of my toddler girls wear Perrito jackets. North Face has yet to fail us!! Great post. 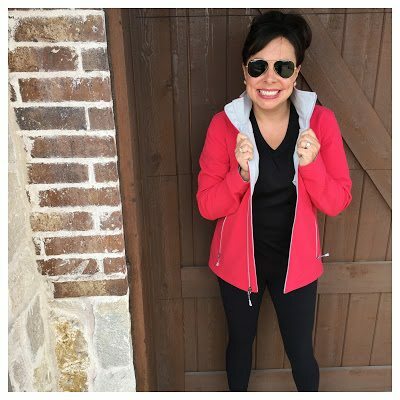 I have the Ruka Parka….a must have where I live! I also wear it to all of my 10 year old's hockey games, keeps me warm in that freezing cold rink. 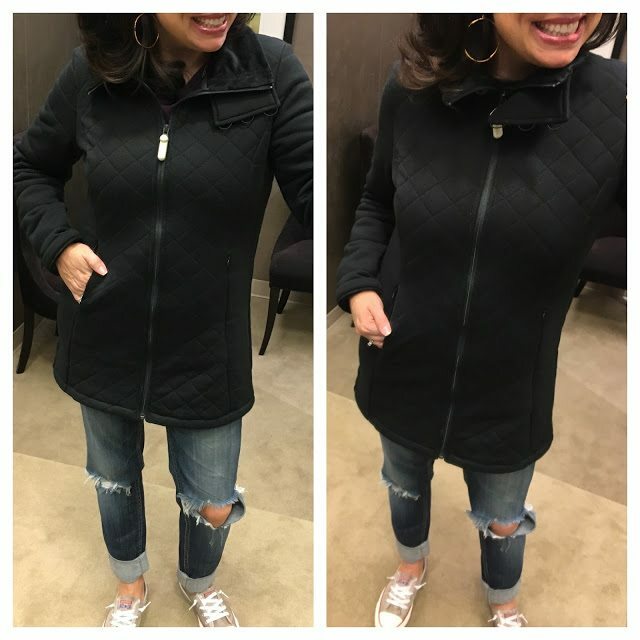 What size do you wear in the 1/2 zip??? Thanks so much! I bought the Laney trench in white this summer during the sale. The material is thin and flattering but it's still very warm. I LOVE it! I need to bite the bullet and buy a North Face jacket. This MN girl needs one! 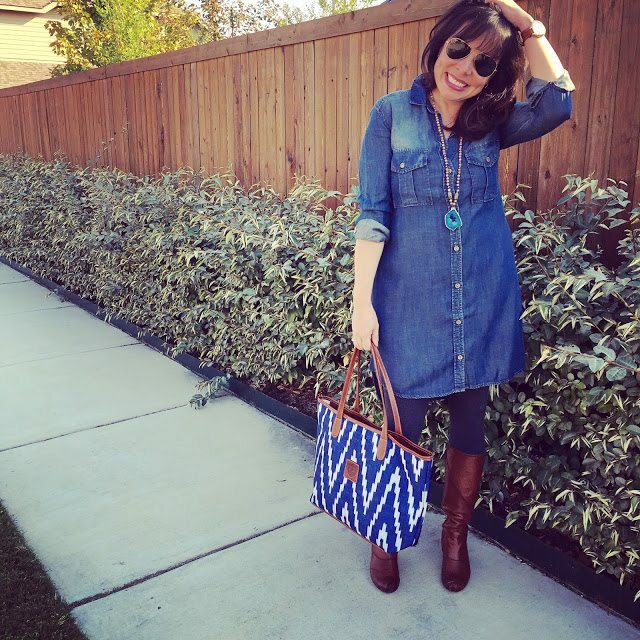 Ok, saw you in the denim dress at the end of the post and it reminded me…styled my denim dress with the BABY BLARDIGAN today, cuffed the sleeve of the dress at the wrist. OMG, ADORABLE!!! Added some tall brown boots. 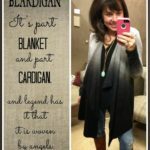 PERFECT for the colder weather we've had in TN for the past few days!! 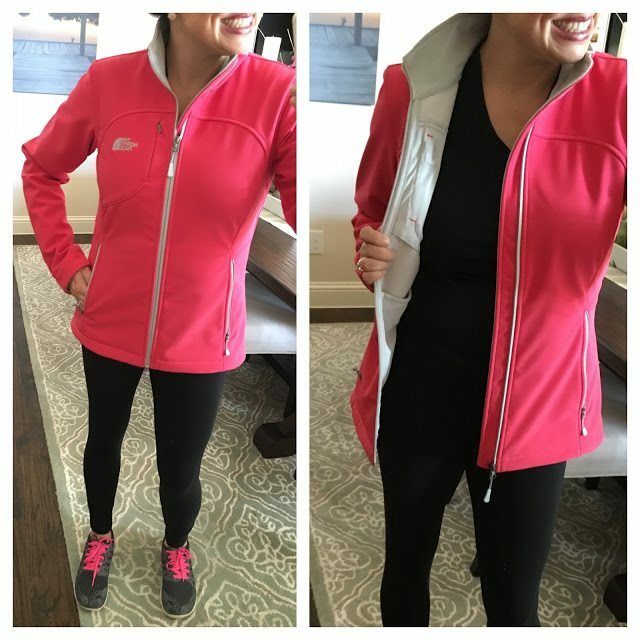 I have your pink Apex Bionic North Face in the light gray and I love it! I'm a teacher so standing out at recess in the cold weather is not my favorite but the popped collar keeps me looking a little put together and the inside of the pockets are so warm! Hi Sheaffer! Do you have a preference between the Clairisonic Mia and Mia 2? Is there a difference, other than the price? 🙂 Thanks! Oh, That pink jacket looks awesome on you!! Love!! !